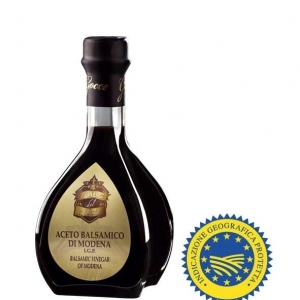 This oil is perfect for flavoring spaghetti with tomato sauce, dishes based on veal, chicory and beans based on fish such as seafood salads. 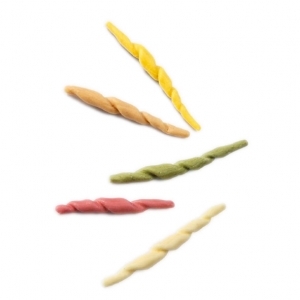 Moreover, it is perfect for capresi, freshly baked bread and bruschetta. Further information: Store in a cool and dry place, away from sources of light and heat. 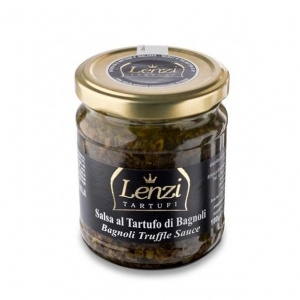 Preparation based on Bagnoli’s black truffle, mushrooms, extra virgin olive oil, sunflower oil, black olives. 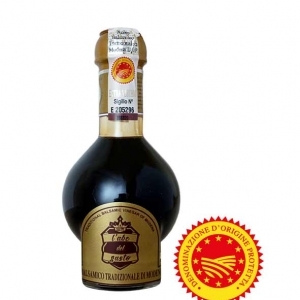 Ideal as a condiment for croutons and fillings for appetizers, first and second courses, omelettes, egg and beef eye for all dishes with truffles. 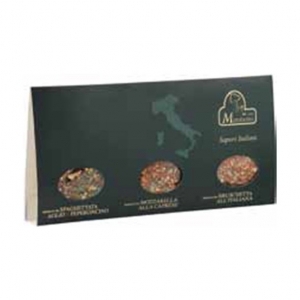 Nutritional values ​​per 100 gr of product: Calories 223 Kcal – 933 Kj; Protein 5.6 g; Carbohydrates 8.0 g; Lipids 20.9 g.
Ingredients: Cultivated mushrooms (Agaricus bisporus), Bagnoli truffle (Tuber mesentericum Vitt.) 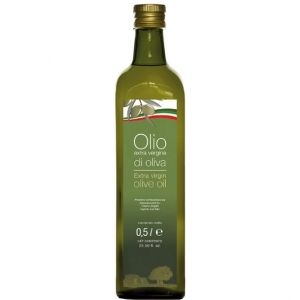 10%, sunflower oil, extra virgin olive oil, black olives, salt, flavorings. Further information: Storage: 36 months. Once opened, keep + 2 ° / 4 ° C and consume within 7 days. 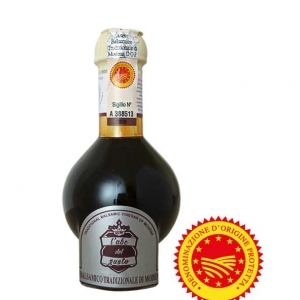 True Balsamic vinegar is an artisan product from Modena, in Emilia Romagna, Italy, and is made with grape must (juice) that is simmered to make a concentrate, allowed to ferment, then, for a minimum of 5 years, matured in barrels of progressively decreasing size, made from different woods in order to impart different flavours. 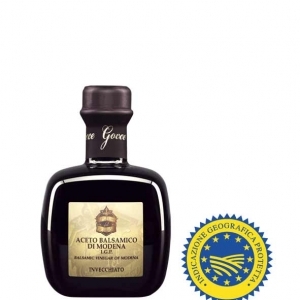 The result is dark, rich and syrupy and to be used very sparingly. Suggested for exclusive recipes, drizzled over parmesan, fresh fruit and ice cream. Avg. Nutritional values ​​per 100 gr of product: Energy 1058kJ Protein 1.7g Fat, total 0.0g 0.0g – saturated 0.0g Carbohydrate 61.2g – sugars 43.2g Sodium 47.2g. Ingredients:Cooked Grape Must, Wine Vinegar. 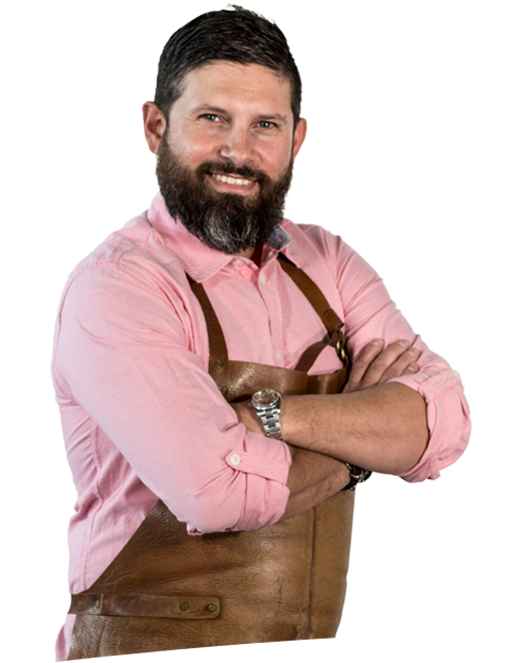 There are fascinating journeys which take us through places and times, stories and traditions to stir our emotions and feelings. And sometimes the best part is the return trip. That is how it is with Parmigiano-Reggiano. 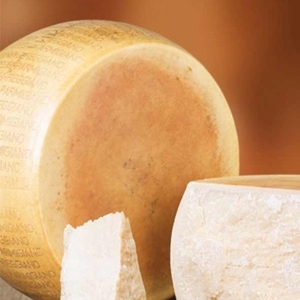 L’ABC del Gusto’s Parmigiano-Reggiano is an extraordinary cheese with amazing aromas and taste and a unique texture. 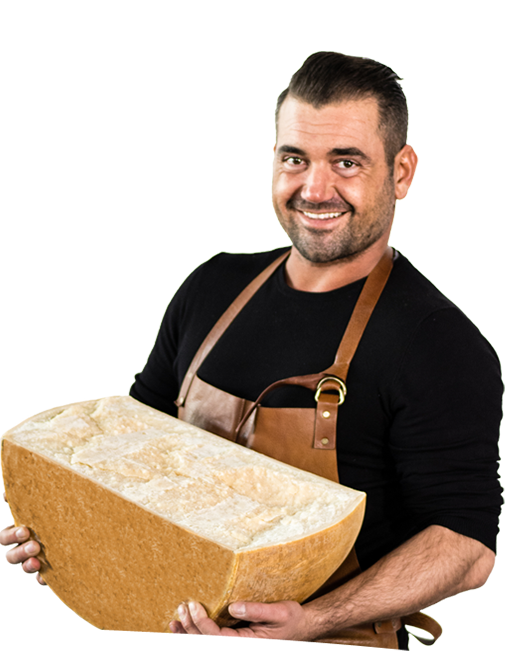 But, if you are still wondering why Parmigiano-Reggiano has been considered the king of cheeses for nine centuries, let’s go back to the beginning of our journey. And, at the same time, get ready for the return trip. Further information: Once opened, keep + 2 ° / 4 ° C in a dry towel. Pesto is a word whose meaning traces back to the Italian verb Pesta, meaning to pound or crush. In fact, a pestle (think mortar and pestle) shares the same latin root. 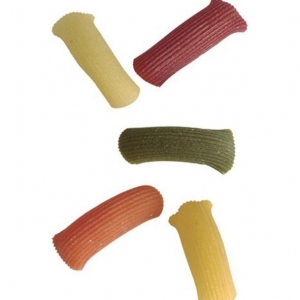 Thus, it should be no surprise that Pesto can refer to any product that was pounded or crushed into a sauce or paste. However, modern Pesto is actually made by grinding the ingredients rather than pounding them. The grinding of the ingredients releases their full aroma and flavor. 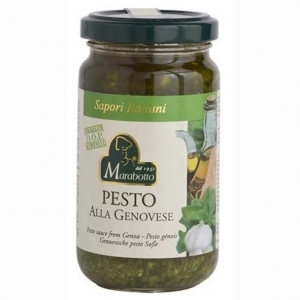 The most typical Pesto is Genovese Basil Pesto, named after Genoa, Italy, its place of origin. This famous Pesto came on the scene in the 16th century. Another common Pesto Sauce is Red Pesto, named from basil and sundried tomatoes. While Pesto is most commonly used as a topping for pasta, it is also excellent as a spread or dip. 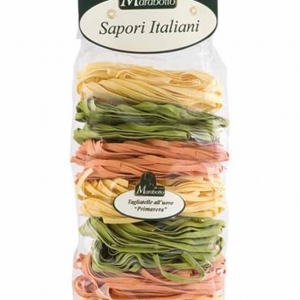 Make your typical meal into an Italian experience by adding Pesto as an accompaniment to steak, poultry or fish. Further information: Once opened, keep + 2 ° / 4 ° C and consume within 7 days. 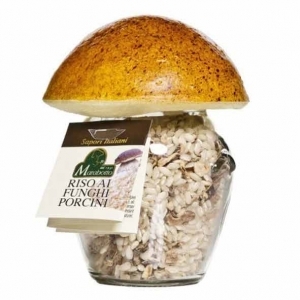 L’ABC del Gusto selection for Rice with Porcini is ideal for those who want a quality product in perfect flavor. This is able to satisfy even your friends and relatives, is made with selected products selected to ensure the highest quality. 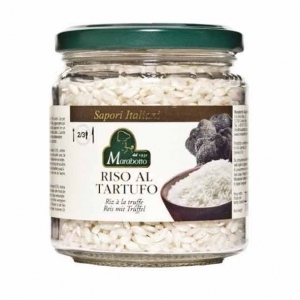 L’ABC del Gusto selection for Rice with Truffle is ideal for those who want a quality product in perfect flavor. This is able to satisfy even your friends and relatives, is made with selected products selected to ensure the highest quality. 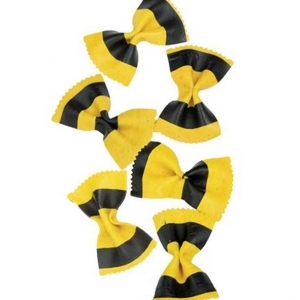 Buy typical Italian products directly from home is priceless, fast and high quality service! Sensationnel! J'ai acheté quelques produits et j'ai été étonné! Endlich kann ich meine liebsten italienischen Produkte direkt bei mir kaufen!